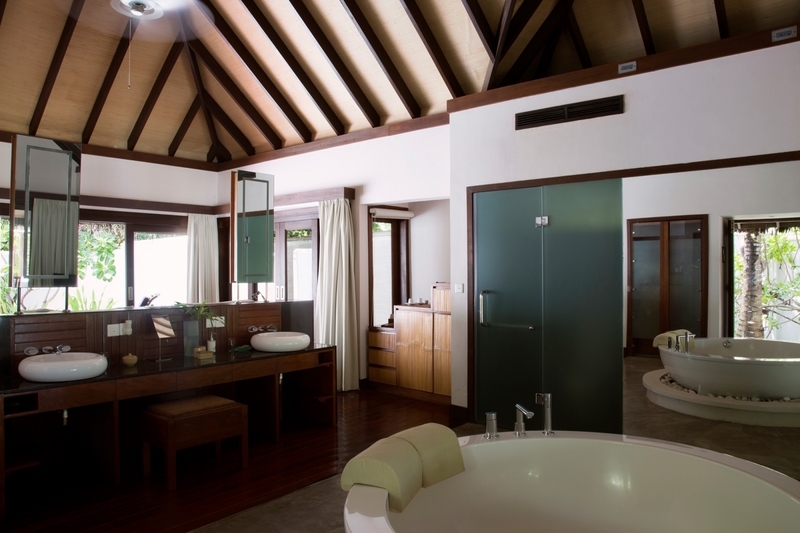 Our Maldives Island Villas are such seductive hideaways; you will imagine you’re completely alone on the island. 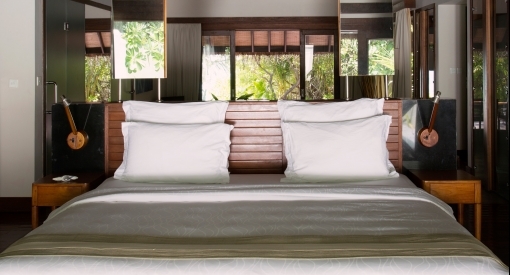 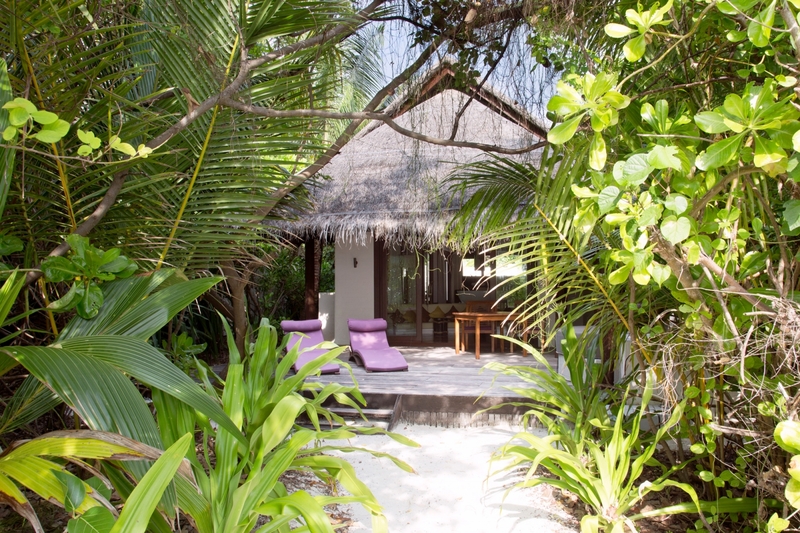 At 188 square metres, our 44 Island Villas are the largest of our villa types. 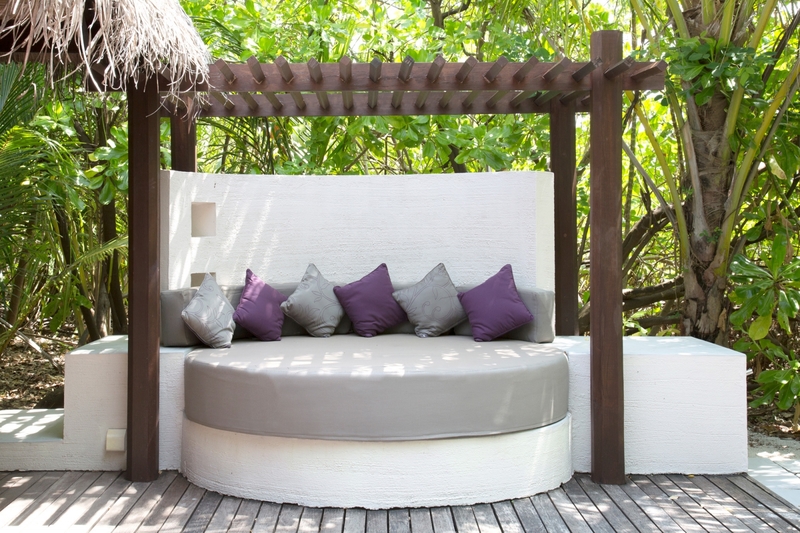 They are built on the fine white sand that frames the island, each facing out to its exclusive share of the beach complete with shaded loungers. 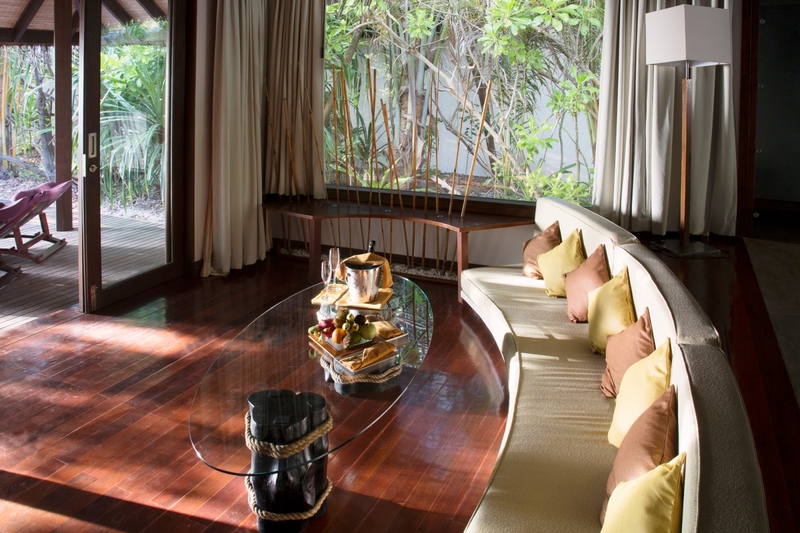 The signature of these generous villas is their levels of privacy. 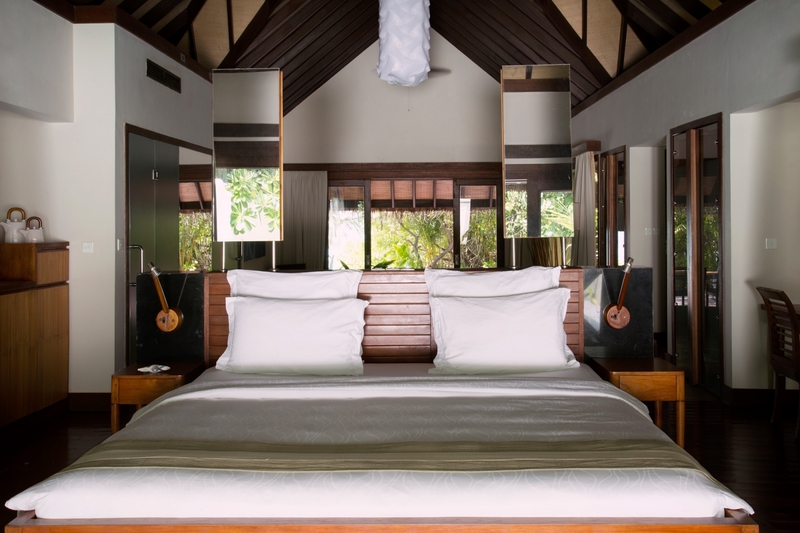 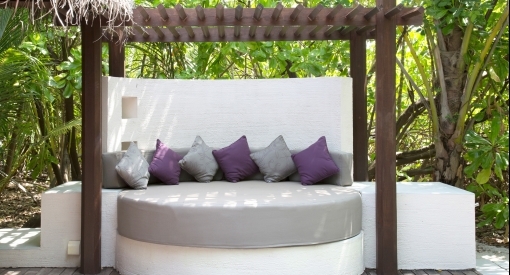 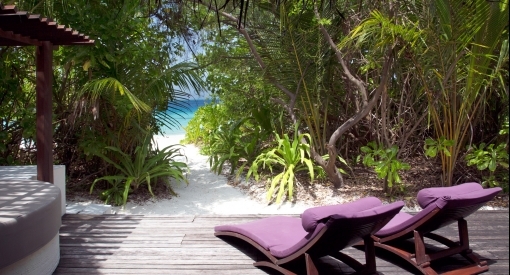 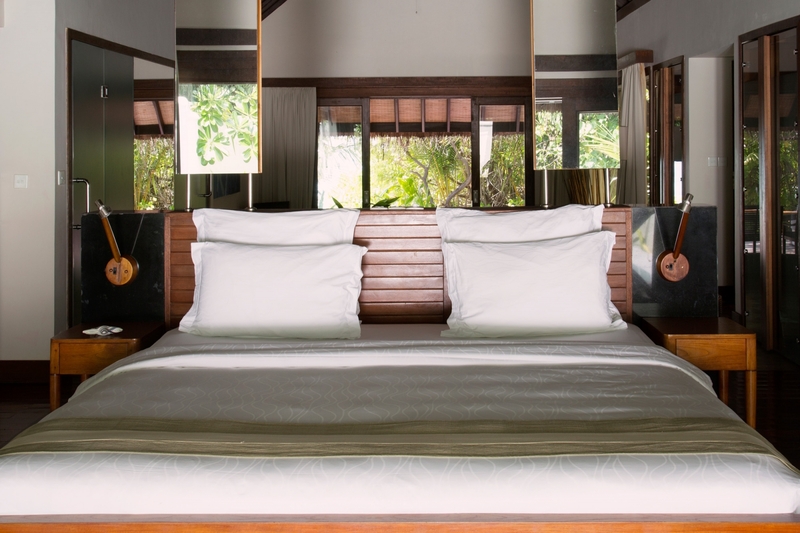 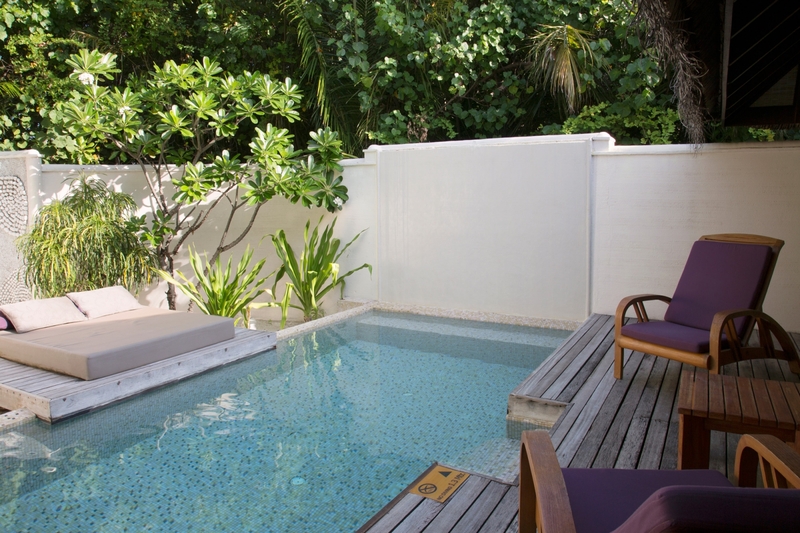 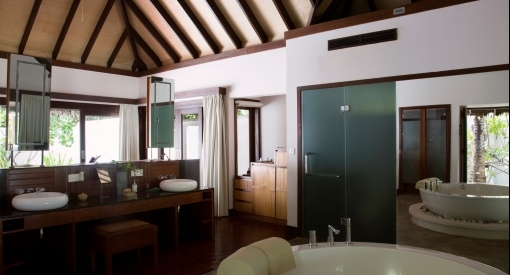 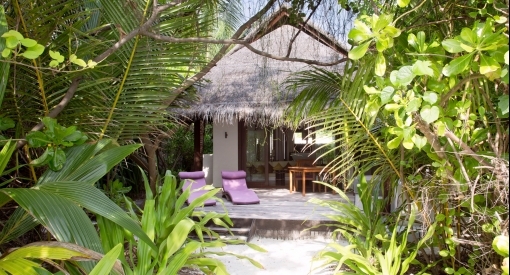 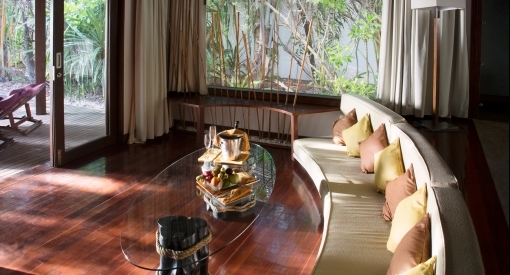 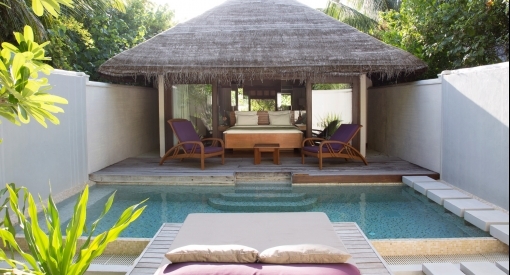 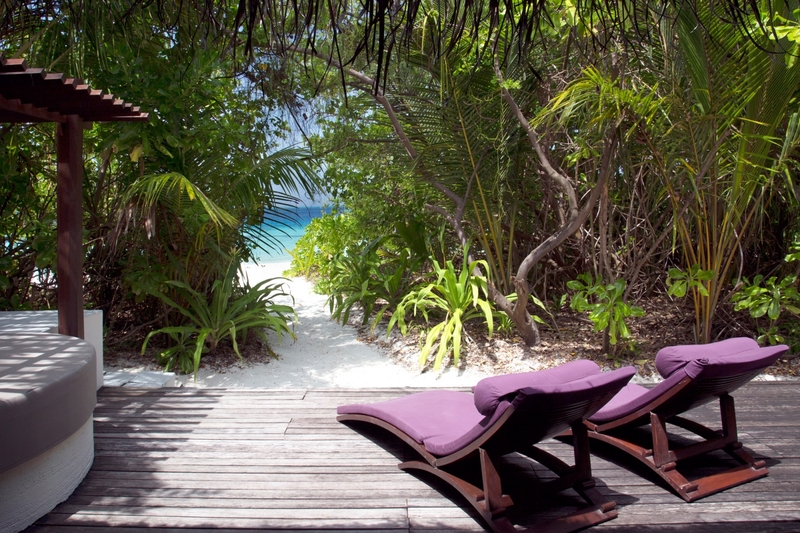 Set within lush vegetation, guests in our Maldives Island Villas can indulge in total seclusion. 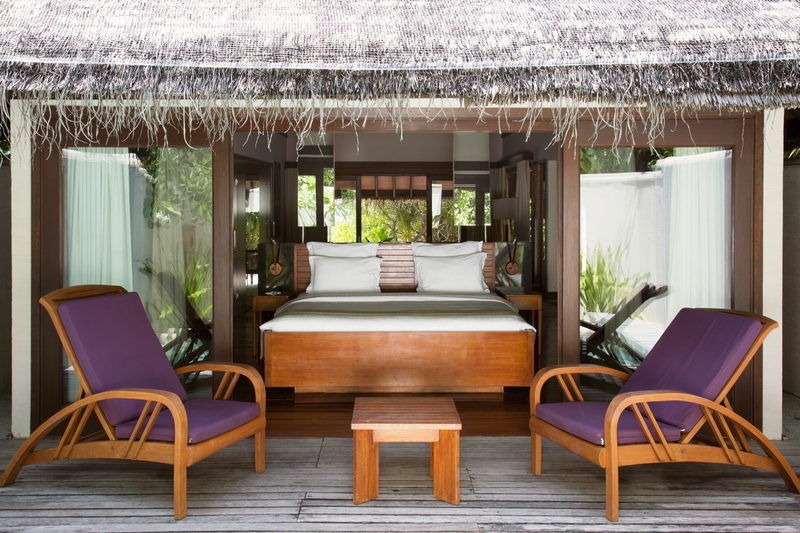 As you relax in your garden, pool or on your deck, the rustling of the balmy ocean breeze in the palms overhead is a gentle island song. 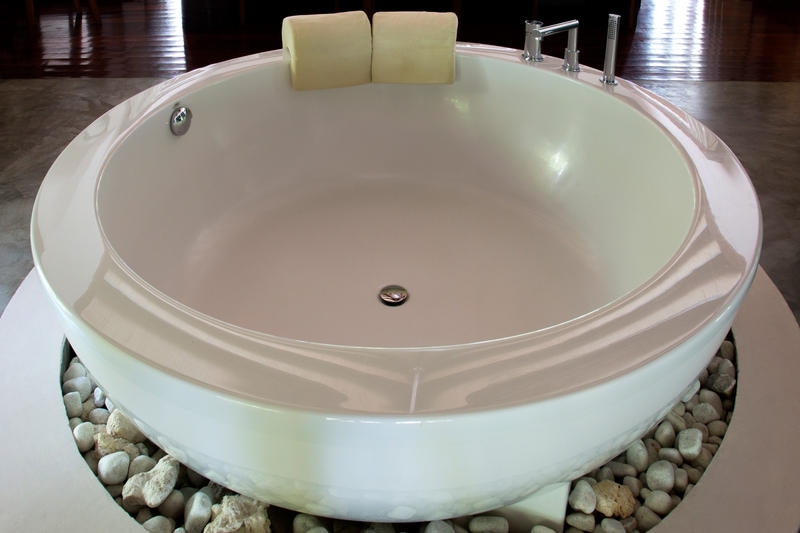 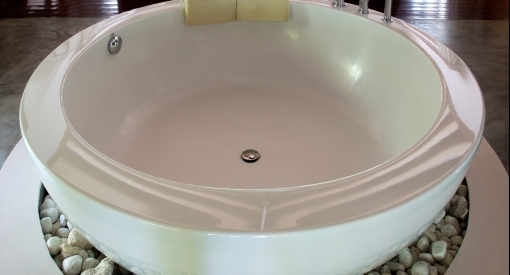 Inside, a bathtub for two, a king size bed, and a sunken living area all offer elegant character and unconditional comfort. 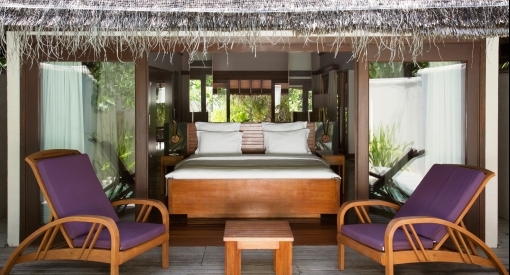 Why not upgrade to a Water Villa?